Edward Thomas Broughton II was born in Monroe County, Alabama, on April 13, 1834. He was the son of Edward T. Broughton and Rachel Winborne Walker. E. T. Broughton was described as a man of fine appearance, nearly six-feet tall, erect and commanding. Broughton studied to become a lawyer and after passing the Texas bar, established himself in the legal profession. On July 2, 1856, at the age 22, he married Mary Elizabeth (Mollie) Douglas, daughter of Alexander Douglas of Smith County. During the course of their marriage, they had seven children. In 1857, Broughton and Mollie moved to Athens, Texas where he entered a law practice with his brother, Dempsey W. Broughton and T. B. Greenwood. 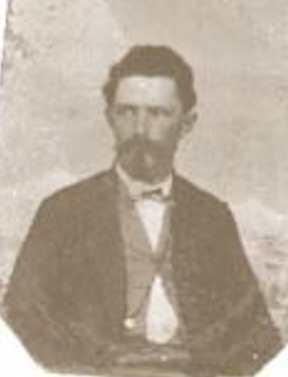 In 1861, records show he was in Kaufman County, Texas, in a law firm with his brother and R. B. English. 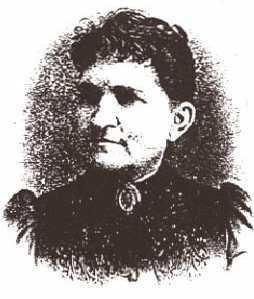 By this time, he and Mollie had given birth to their first two children, Prentiss and Margaret Tomie. In July, 1861, Broughton volunteered for service in the Confederate army. He was elected captain of Company C, Seventh Texas Infantry. During the war, Broughton was captured twice - at Fort Donelson, Kentucky, February 16, 1862, and at Raymond, Mississippi, May 12, 1863. Each time, he was imprisoned at Johnson's Island Prison, Ohio. During his second time in prison where he remained for almost a year, he contracted smallpox that impaired his vision for life. After his 1864 release from prison, Broughton traveled to Georgia where his regiment was engaged in the Campaign for Atlanta. Prior to rejoining the army, he spent some time in Newnan, Georgia, convalescing. After the fall of Atlanta, Broughton continued with General Hood's army into Tennessee. On November 30, 1864, after Granbury was killed during the Battle of Franklin, Broughton took command of Granbury's Brigade for the remainder of the engagement. The fate of the Confederacy was sealed after the loss of the battles of Franklin and Nashville. After the Tennessee Campaign, Broughton returned to Kaufman and his law practice. In 1868, he moved to Sherman (Grayson County) and, in 1870, was elected state senator from the 22nd District. He served two terms but was forced to retire due to the decline of his health. Brought died in February of 1874 and is buried in Sherman, Texas. He was not quite 40 years of age at the time of his death. Historic notes by Mary Lee Barnes, great granddaughter. September 26, 1861, Starrville, Texas. Recruiting for his company. October 21, 1861, Shreveport, Louisiana. Ordered to Memphis. "Night before last, I dreamed that Prentiss sat on my knee and prattled about the soldiers." November 16, 1861, Princeton, Kentucky. Quartered at Cumberland College, he is homesick, "I am almost miserable. I have heard nothing definite from you since I left Marshall. I do trust I shall begin to receive letters from home." His company has been selected as the regiment's color company. January 4, 1862, Hopkinsville, Kentucky. Attacked with "billious remittant fever", "reduced to a skeleton, 110 pounds. I am weak as a child." Apprehensive of pending attack. 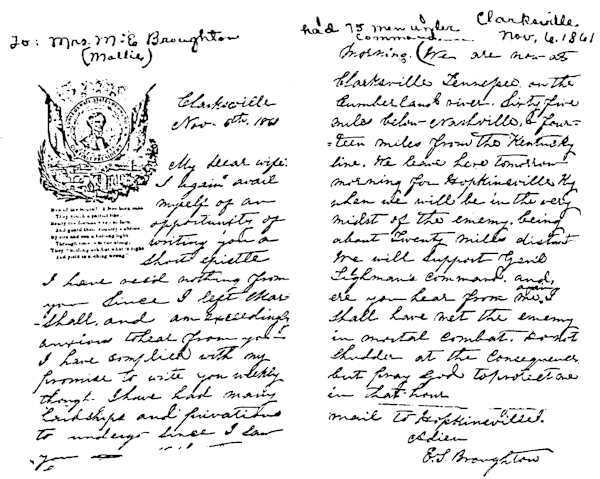 January 22, 1862, Hopkinsville, Kentucky. Recovering from illness. "My physician said my disease from which I am recovering was produced by homesickness." May 23, 1862, Sandusky, Ohio. Imprisoned at Johnson's Island. Trying to take imprisonment philosophically to avoid depression. Spends time reading and exercising in the open air. September 18, 1862, Vicksburg, Mississippi. Exchanged after seven months at Johnson's Island. Brigade being reformed at Clinton, Mississippi. October 7, 1962, Clinton, Mississippi. Disappointed that he could not return to Texas for recruiting. "Never in my life have I undertaken to write to you under more distressing and gloomy circumstances." Optimistic that he will be elected Major. January 16, 1863, Marshall, Texas. Returned to his unit after being home on leave. Ordered to Port Hudson. January 31, 1863, Port Hudson, Louisiana. "I have not been able to get any cooking utensils yet, and if I had them, I cannot get much to cook in them." He muses on the prospects for an early end to the war. February 2, 1863, Port Hudson, Louisiana. "The prospects for peace are growing daily more bright and it cannot come too soon for me." He asks about "a little matter" (she was expecting another child). March 18, 1862, Robbin Station (12 miles from Port Hudson). He describes naval bombardment of Port Hudson. April 15, 1863, Port Hudson, Louisiana. He specifies how he wants his new summer uniform to be sewn, "not allow any for buttons on the coast as I can get staff buttons and have them put on here. I believe I would prefer a nice piece of Black cloth on the collar and sleeves if it can be had." April 27, 1963, Port Hudson, Louisiana. The Red River is blocked. "I am still sanguine about the war closing my mid-summer, for God knows if there is any event feverently and anxiously wished for by me, it is the close of the war. How sick, tired and disgusted I am words will not express." May 23, 1864, Newman [Newnan], Georgia. He tells of his capture in Raymond, May 12, 1863 and how he was taken back to Johnson's Island. He is now on parole awaiting exchange. He describes his movements upon release, April 22, 1964, and anticipates a fight. He describes "having had small pox, flux and two attacks of erysipelas. My face is pretty badly marked with pox. I am in pretty feeble health." June 3, 1864, Newman [Newnan], Georgia. Staying with a Methodist preacher tell of his improving health and looks forward to returning home. July 3, 1964, Atlanta, Georgia. "My health continues to improve, and I think in a few weeks I will be well and fit for service. There is no prospect for getting home until the present campaign is ended." August 15, 1864, Atlanta, Georgia. "I have been promoted to Lt. Colonel of the regiment." November 2, 1864, Tuscumbia, Alabama. Describes the movements of his regiment through Georgia, Alabama, and Florence and anticipates preparing for winter quarters. "My health is improving slowly all the time excepting my eyes which give me some trouble yet." E. T. Broughton, "Among the Missing"